Heyward CPA is a local Durham, NC CPA Firm providing local businesses and individuals with tax and accounting services. We know our small business owners take pride in their business - and we do too - which is why we work hard to reduce your expenses and increase your productivity. We also take our knowledge in savings and translate that to reliable tax services to help our individual clients maximize income and minimize taxes. HeywardCPA was established as a full service CPA firm to serve the tax, accounting and consulting needs of individuals and small businesses in the Durham area. We strive to strike the perfect balance between small, local, attentive service and professional experience and expertise. I am an advocate for small business. I believe that successful entrepreneurs are some of the bravest people in the world. The thrill of entrepreneurship is difficult to explain, but those who follow the path generally know that no matter how bad today is, tomorrow can be better if YOU work at it. I have always been involved in my family's small businesses from working the hot dog wagon we owned in Jamaica, Queens to painting walls for my uncle's contracting company and performing bookkeeping tasks in my father's accounting practice. The lessons I learned growing up led me to start my first business, as a student at Duke University. I started a DJ service and radio show that played for various groups on and off campus. The success of my DJ company led to me forming two companies, Take-Two Entertainment and Madd Waxx Records in 1995 and 1999 respectively. To manage my businesses, I had to develop a strong proficiency in QuickBooks. I realized that the better I became at bookkeeping, the more I started to enjoy the financial management aspect of running the companies. After several discussions with family and friends, I decided that my interest in the financial management of my businesses would lead to the establishment of a CPA firm that has first-hand experience with the challenges small businesses and their owners face and the desire to reach realistic solutions. While obtaining my CPA license, I had the opportunity to work for a public accounting firm and a publicly traded multinational company which increased my experience and skill set. Along with the client base that I built while working, I had the opportunity to work with clients in retail, professional services, education, non-profits and real estate. I also gained valuable experience in tax preparation & planning, financial reporting, and cash flow management. 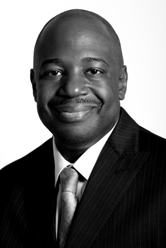 In 2010, I launched Heyward CPA, a firm passionate about small businesses and the individuals that own them. We offer a wide array of services including tax preparation, financial statement preparation and business consulting. Our goal is to be a valuable partner in your business and personal success. Dr. Ayscue has been with the firm since 2015 and has been instrumental in helping the firm grow. She is responsible for the core business operations. She also oversees our administrative functions for the firm including human resources, accounts payable and accounts receivables and procurement. Tanya holds a Bachelor of Science in Business Administration (Marketing) from North Carolina A&T State University. She also holds an MBA (Management) from Strayer University and a Doctorate in Leadership Studies from North Carolina A&T State University. Tanya has a diverse background and over 25 years of experience in business operations, executive leadership support, project management, management, and quality management. She is the owner of TDA Services, LLC located in Raleigh, NC. Ms. Cooper joined the firm in February 2018 of this year. Nicole specializes in AR Cash Management and Collections as an Invoice Sherpa Advisor, along with Account Reconciliations, Tax Preparation, and Financial Statement Analysis. 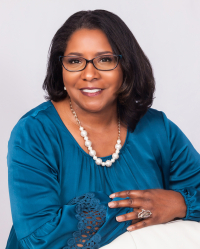 Nicole received her undergraduate degree in Accounting from North Carolina Central University in 1995, and her MBA in Public Accounting from Strayer University in 2017. She joined the team with 23 years of experience in various corporate accounting areas including healthcare, private retail, and telecommunications. 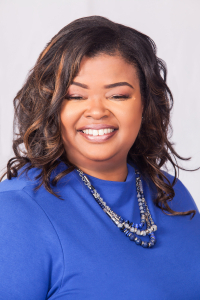 Acting on her strong desire to help individuals and small business owners, Nicole opened her own business, Quality Financial Services, LLC in 2010. She provides a variety of contracted accounting services to individuals, small businesses, non-profit and religious organizations in the Triangle area. Ms. Sellars has over five years of experience specializing in bookkeeping, tax preparation, financial statement preparation, and software training. She has an intermediate skill level in Quickbooks and is working to become certified as a Xero Advisor. Ms. Sellars holds a Bachelor of Science in Business Administration with a concentration in Accounting and Business Management from Appalachian State University. 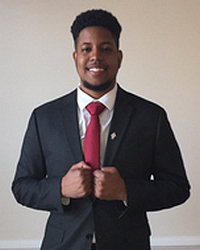 Mr. Jarvis is majoring in Accounting and is a rising senior at North Carolina State University. He joined the firm in 2016. Cameron is responsible for managing client general ledgers and preparing tax returns. During the summer, Cameron interns with Ernst and Young, one of the Big 4 accounting firms in the country. Ms. Pough is responsible for the firm's social media presence. She also assists with advertising, firm communications, and editing content. LaTarsha is also co-host of the Financial Flipside podcast. LaTarsha holds Bachelor's degrees in Comparative Area Studies and Art History from Duke University, a Master of Arts in English from Duke University, and a Master of Science in Speech-Language Pathology from the University of North Carolina, Chapel Hill. 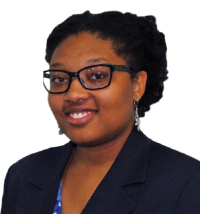 LaTarsha joined Heyward CPA in 2013.